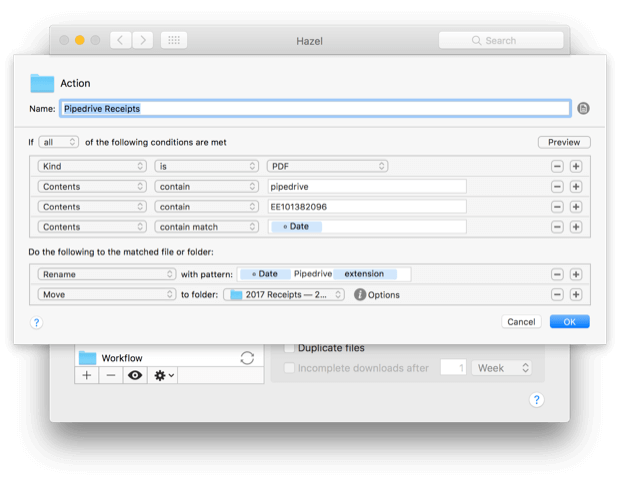 I currently use Hazel to automate the management of my receipts (check out this post for tips on how to get started with Hazel and document automation). I pay for a number of services like MailChimp, Pipedrive and Buffer to run my business and once a month I receive a receipt from each of these services. Currently, I have some Hazel rules set up for my Downloads folder so if I save one of my receipt emails as a PDF or save an attached PDF to the downloads folder, Hazel renames the file and moves it into my Accounting folder in Dropbox. This process has worked well for a while but it still requires me to export the email or manually save the attachment and I want fully automate this process if I can. I have some mail rules set up on iCloud.com to forward my receipt emails to a special Zapier email address. I could set these rules up in Mail.app, but I’d rather set them up on iCloud.com so the rules can still run even if my Mac is turned off. Because I receive some receipts as emails and some as attachments, I have two Zaps that handle my different receipts. 1) One will convert the email into a PDF and save it to Dropbox. 2) The other will save any PDF attachments from the email and save to Dropbox. 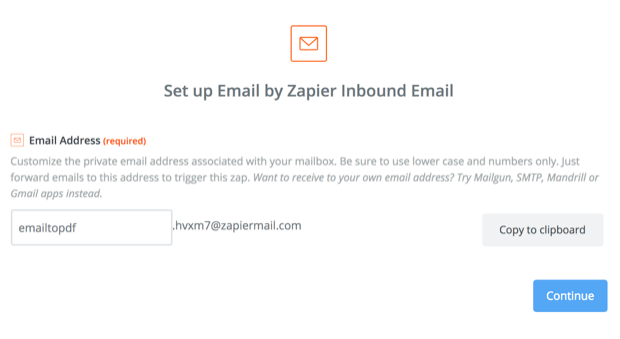 Each Zap has it’s own special Zapier email address, so when setting up the mail rules on iCloud.com, I just need to use the right address based on how I receive the receipt. 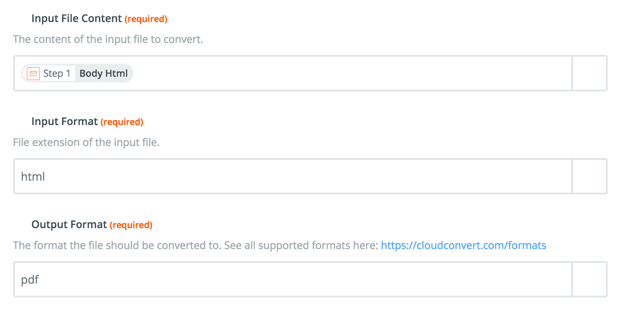 Zapier handles the conversion by passing the email through CloudConvert. Finally, an iCloud rule will then move the receipt to the Archive folder so that I don’t even have to see the email. When this system is working correctly, I never see the receipt emails come into my inbox. All I see is a notification from Hazel that says the file was renamed and saved, so I know that a receipt was received and sorted. Cool right!? I love little tricks like this. I find that by saving lots of little moments of time during your day they can add up to big efficiencies.